Mapuche poet Liliana Ancalao. Photo: Morena Aimé Martínez. Taill (also taiel): Mapuche sacred song, sung by a machi (shaman). 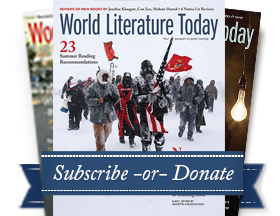 Read more multilingual poems by Liliana Ancalao in World Literature Today.